In the UK alone, approximately 4.5 million households rent their homes privately, and for those that do, renting can come with its difficulties. That’s where ACORN come in. 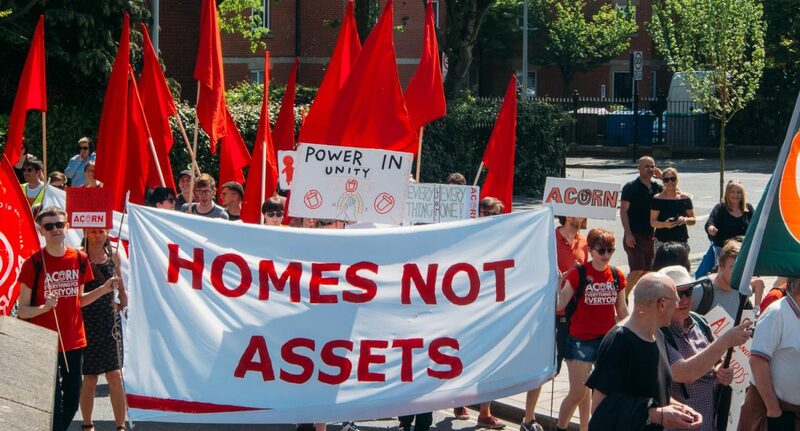 Based in Manchester as well as several other UK cities, ACORN are a tenants union dedicated to improving the conditions of privately rented properties and fighting for the rights of those who live in them. Originally founded in Bristol, ACORN’s Manchester Branch was launched just one year ago and since then, the group have taken on disputes nationwide. In November the group occupied Natwest’s Market Street branch in protest of it’s ‘No-DSS’ policy which prevents landlords from renting properties to tenants in receipt of benefits. “We’ve done the same thing with Santander and TSB before and we’ve won both times for the same issue,” says Tom Crosher, ACORN’s delegate for the Manchester region.